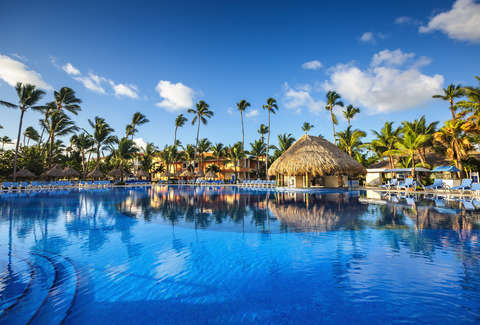 How many times have you been shoveling snow and muttered to yourself, "I would give ANYTHING to be on a Caribbean beach right now"? Every time, right? Sure, but you probably also slogged on thinking a mid-winter escape to a tropical paradise costs a fortune. Not so. Traveling to the Caribbean can be done on a budget -- you just need to know where to go. (Also, you can't stay at a big fancy resort, but you knew that.) And to help you out, we've put together a short list of the cheapest destinations in the islands. Here’s some St. Lucia trivia: the island is shaped like a mango. Remember that for your next pub night. Also, it's an island that offers everything from mountains and rainforests, to charming fishing villages and secluded volcanic beaches renowned for reef diving. St. Lucian food is a combo of Creole with French and West Indian influences, and for cheap eats, you're gonna want to roll with the roti -- unleavened Indian bread stuffed with curried vegetables and meat. At Prudee’s House of Roti, two people can take down a hearty beef and chicken plate for a mere $10. What’s the catch? The island is a bit remote from the US so pack snacks -- you might have a long wait for a connecting flight. Did you know that one of the official languages of Curaçao is Dutch? Well, it is. 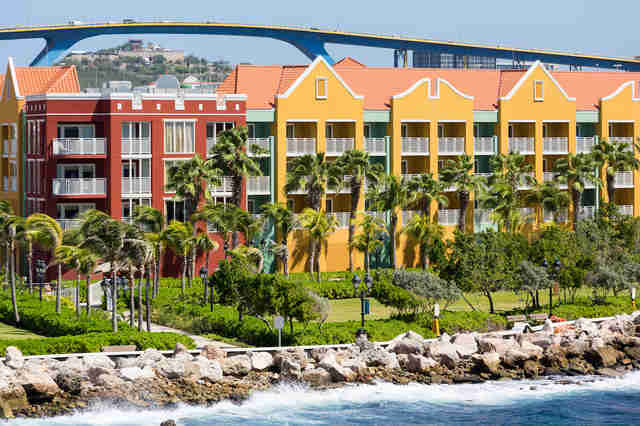 Situated off the north coast of Venezuela, Curaçao is still a territory of the Netherlands and a bit off the beaten tourist path; although it does maintain a bustling airport, which helps keep airfares down. Beer at local bars is cheap if you avoid US brands, but if you really want to save your guilder, stock up on booze at Centrum supermarket. What’s the catch? The mosquitos at night -- they are not friendly. Known for long stretches of white sand beaches and shallow bays of calm, aquamarine waters, Negril offers visitors the most bang for their Caribbean buck. 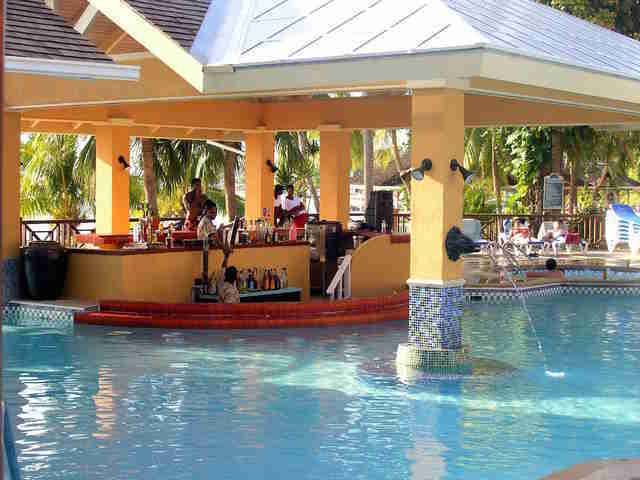 Sure, Jamaica has a lot of pricey resorts, but this area -- situated on the western side of the island -- rocks a good mix of inexpensive two- and three-star hotels along the gorgeous Seven Mile Beach. 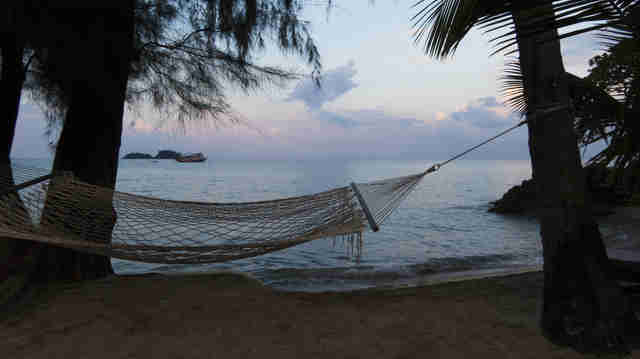 Negril is also less touristy than the other parts of Jamaica, which helps make it less expensive. Be sure to enjoy a panoramic sunset while drinking cheap Red Stripe at Peewee’s Restaurant. What’s the catch? It's popular among Americans spring breakers, so if beer bongs and beach parties aren't your scene, perhaps you shouldn't visit in March. 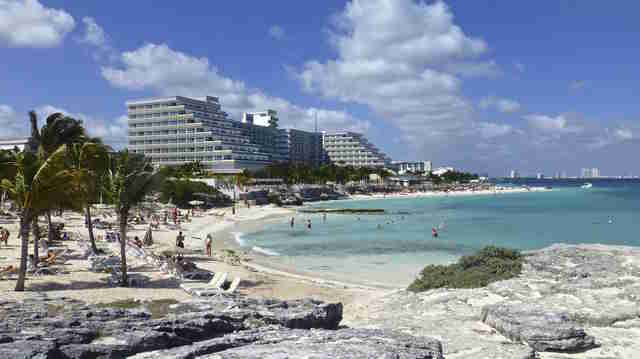 And speaking of spring breakers, Cancun is one of the busiest destinations in the Caribbean. Reason being: there are a plethora of inexpensive flights from the States, and accommodations are cheap on the outskirts of town. The place also rocks beautiful beaches, a solid nightlife scene, and easy access to artsy Playa del Carmen, Riviera Maya, and Cozumel. Oh yeah, also, Mayan ruins to explore -- El Rey and the a crumbling tower of pale gray stone known as Yamil Lu’um -- and gorgeous cenotes in which to swim. Or venture to Las de Guanatos to score a bucket of beers for a mere 100 pesos. What’s the catch? Again, the low cost of Cancun makes it a popular spring break hotspot. Also, be sure to research your hotel. You might save some cash, but there are a lot of accommodation horror stories. 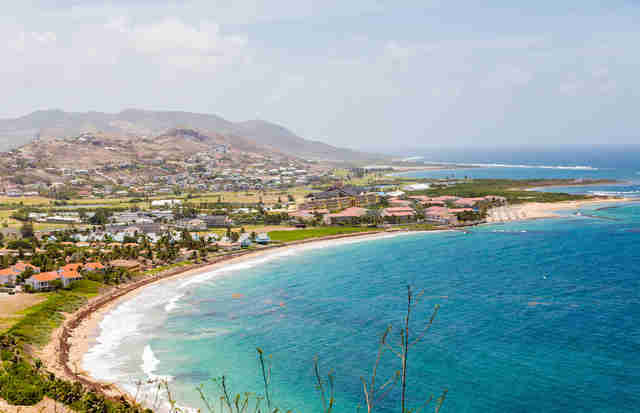 St. Kitts is a rare gem in the Caribbean. It's also an island shaped like a chicken leg -- again, just throwing that out there for trivia night. This lush, tropical paradise has an intoxicating blend of rolling hills, aqua-green sea, abundant vegetation, rainforests, and volcanoes that loom majestically in the cloudy mist. Though the tourist beach bars are amazing, some of the best watering holes on the island are in the Old Town section; they simply look like random structures that dot the roadway. Don't hesitate to stop. In fact, be sure to hit Paula's Shop; it's run by a woman named... Julie -- just kidding! Her name's Paula -- and she sells cheap Carib beer (the Kittitians' local brew of choice), delicious home-cooked chicken, and not one, but two types of shampoo. What’s the catch? Tourism isn’t St. Kitts' main industry -- so outside of the main beach areas, your options are limited for attractions. 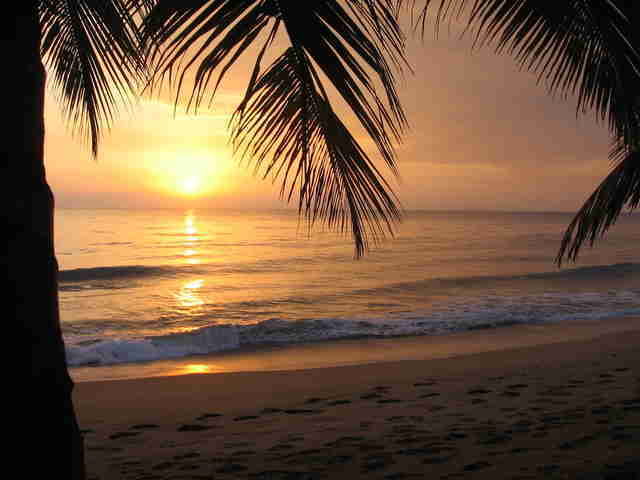 Located on the western side of the island, Rincon is a surfer’s paradise with some of the best waves in the Caribbean. Which is why you'd be crazy not to take a surfing lesson while you're there. Then again, there's also amazing diving and snorkeling if that's more your speed. Start your day with a $1.50 breakfast and close it out at Picoteo Rincon, a joint known for tasty and inexpensive sangria. What’s the catch? Obviously, San Juan is easier to get to, but the sunsets in Rincon make it well worth the trip. What’s the catch: Barbados is a little farther south than most Caribbean destinations, which is its blessing and its curse. 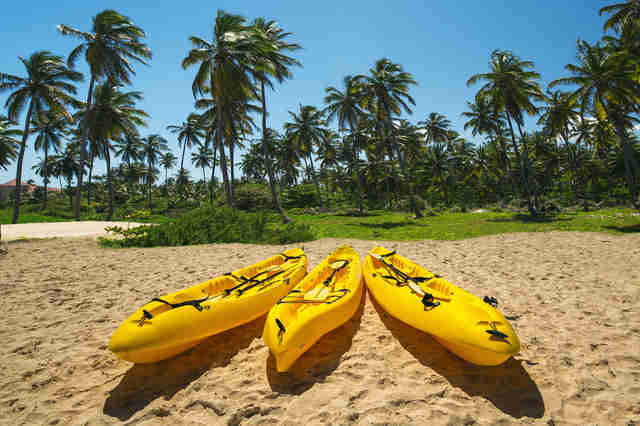 Punta Cana is a sporty part of the Dominican; popular for cheap ziplining, windsurfing, kayaking, and sailing. Oh, and golf. The place boasts some of the best tropical golf courses IN THE WORLD. If you're feeling less sporty, relax on the beach, swim the clear waters, or explore the enchanted lagoons of Indigenous Eyes Ecological Park. And afterward, grab a couple of $2 bottles of Presidente and dinner for as little as $8. What’s the catch: In recent years, American fast-food chains have rapidly set up shop in the area. No más KFC! 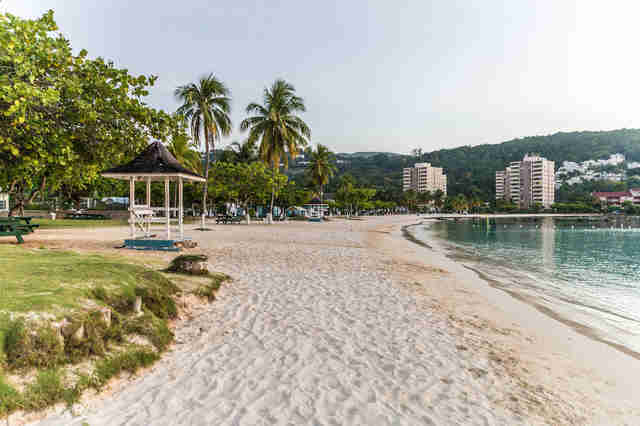 Ocho Rios is one of the cheaper destinations in all of the Caribbean for all-inclusive resorts; so you’ll save the bucks if that’s your thing. Plus, there are cheap direct flights from a number of US cities. And, expect to pull off $4 jerk chicken and $2.50 Red Stripes, which isn't too shabby either. What’s the catch? Ocho Rios is a popular cruise ship port. Check the weekly cruise schedule before heading out to hit the local attractions -- they may be swarmed. 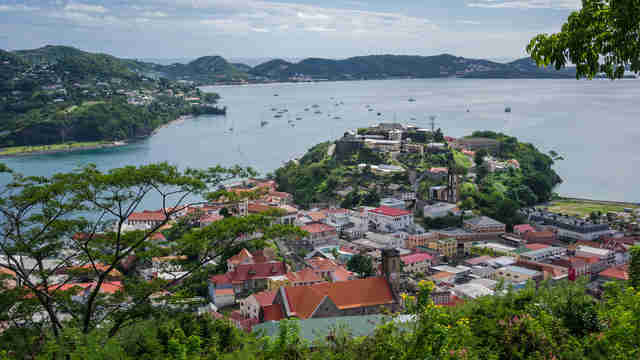 Grenada is an island known mostly to Americans as "that country we invaded in 1983 to rescue some medical students," but what it should be known for are the outstanding volcanic views, nutmeg plantations, and terrain largely unspoiled by tourist development. 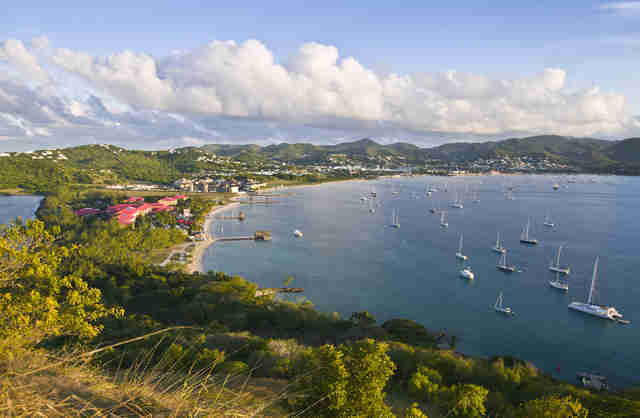 If you enjoy ecotourism and avoiding large strings of identical resorts, you'll find Grenada downright enchanting. Expect to scuba dive with the turtles for as little as $22 and eat a fusion meal of Creole, Caribbean, and West Indian flavors for around $3 an entrée. What’s the catch: If you’re allergic to nutmeg (or just hate the smell of it), then visiting the "Spice Isle" could be an issue -- as mentioned, they grow a ton of it there and the scent fills the air. 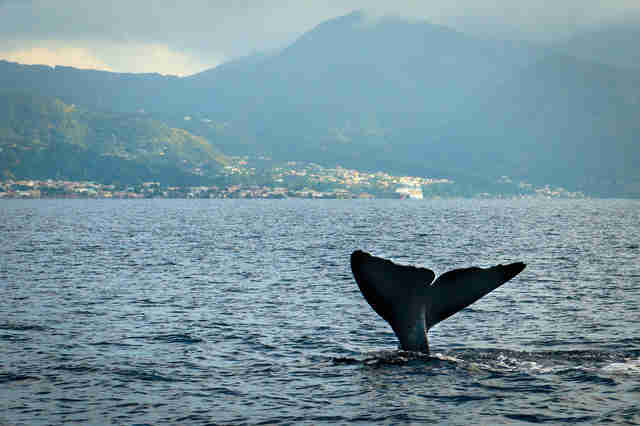 Dominica is a Caribbean secret. (Unless you do a Google search.) It’s an eco-traveler paradise with impressive mountains, lush green vegetation, and winding rivers. And even better, Dominica has little commercial development and is considered one of the most well-preserved spots in the Caribbean. Spend your days hiking through the rainforest, sunning yourself on a black sand beach, or scuba diving at one of the island's 40-plus dive spots. Then, feast on caramel pork and chicken stew for as little as $9 at places like Riverside Café. What’s the catch? Nightlife is limited. So bring a book. Harmon Leon lives in Brooklyn. He's a regular contributor to VICE and runs a storytelling series called TALE. Follow this man on Twitter: @harmonleon.